In the aftermath of the Gulf Crisis, Kuwait and the United States have taken leading roles in conducting mediation efforts between Qatar and the quartet (Saudi Arabia, United Arab Emirates, Bahrain and Egypt) of blockading nations. For both mediators, saving the unity of the Gulf Cooperation Council (GCC) is a crucial national security priority, despite each nation having different motives. 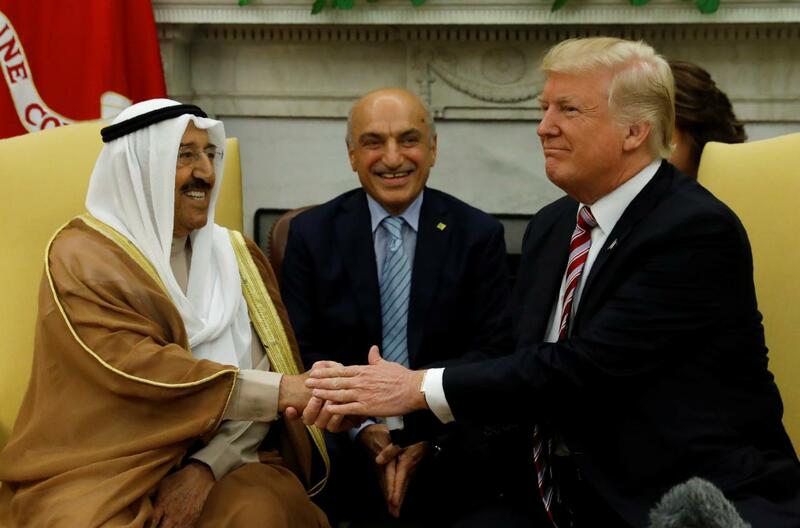 For the U.S., restoring unity among the Arab Gulf states means salvaging a strong front of allies in the Middle East against Iran while retaining its military bases throughout the Gulf region, namely in Kuwait, Bahrain and Qatar. For Kuwait however, ending the crisis means the revival of the GCC’s regional role, a body whose creation Kuwait initiated, and has historically relied on to protect its sovereignty and interests in a geopolitically tense region. Also, ending the inter-GCC dispute would mitigate Kuwaiti concerns that it could, in the future, become the target if a coalition of Arab Gulf states once again decides to team up against a neighbor. Such a fear is strongly felt in Kuwait, as its geostrategic location (pinned between Iran, Iraq and KSA) gives the northern Gulf emirate few shipping alternatives should it be faced with an embargo. Therefore, the coordination between the United States and Kuwait has been evident since the first week of the crisis. In the immediate aftermath of the blockade, former U.S. Secretary of State Rex Tillerson included a stop in Kuwait during his tour in the region, during which plans began for US-Kuwait coordination resulting in a strategy where Kuwait would layout the groundwork for reconciliation, while the US would host a US-GCC Summit in order to bring Qatar and the quartet to the same mediation table. Last week’s visit by the Kuwaiti Emir to Washington highlighted the Gulf crisis’s current stalemate as well as the centrality of Kuwaiti mediation efforts in reuniting a fractured GCC. The meeting between President Trump and Emir Sabah Al-Ahmad Al-Jaber Al-Sabah was the third to have taken place in only a year and a half. Their first encounter occurred on the sidelines of the US-Arab Islamic Summit in Riyadh May 2017, while the second and the third, (motivated by concerns over the Gulf regions armed conflicts, political turbulences, and the ongoing Gulf crisis), took place at the White House. During last week’s visit, there were unconfirmed reports about the US-GCC summit having been postponed for a second time. The summit was initially planned to take place in May, then rescheduled for October, now having been pushed once again to December. The reasons for the postponement remain unclear, perhaps due to an inability to reach ground for agreement between Qatar and the three blockading GCC states, or the fact that this crisis is no longer a pressing issue for either side of the dispute. While having yet to find a comprehensive solution, Kuwait’s mediation role is the only effort to lessen the tension between Qatar and the quartet that has not been entirely fruitless. In 2014 Kuwait resolved a similar diplomatic rift between the same countries by developing a Supplementary Provision that was retroactively added to the 2013 Riyadh Agreement. The initial agreement and its supplementary provision were designed to ease the United Arab Emirates (UAE), Bahrain and Kingdom of Saudi Arabia’s (KSA), fears regarding Qatar’s independent foreign policies, as well as the operation of Aljazeera. Later in June 2017 when the current crisis erupted, Kuwait succeeded in preventing military action against Qatar. The Kuwaiti role during such a precarious time was confirmed by the Kuwaiti Emir in his first meeting with Trump in DC. Later it became known that the reduction of the Quartet’s initial 13 demands to 6 principles was also the result of Kuwaiti mediation with some additional support from American diplomacy. Among U.S. allies, President Trump’s administration has (due to the emirate’s success in ending the initial 2014 rift) relied on Kuwait to take a leading role in mediation efforts as the region once again slips into a diplomatic stalemate. Moreover, the United States’ reliance on Kuwaiti interlocutors only further evidences the stability of the US-Kuwaiti relationship, unparalleled in the last decade among members of the GCC. Unlike US ties with Riyadh and Abu Dhabi which were weakened by the Obama administration’s rapprochement with Iran, relations between Washington and Kuwait City remained unaffected. Additionally, while Qatar and Oman have largely felt left-down by the Trump administration’s policies, US relations with Kuwait have again been spared. Such stable relations and mutual interests have motivated both countries to jointly seek a solution in order to end the rift between their shared allies in the Gulf region. However, the shared goal between the two nations does not mean Washington and Kuwait have identical means to this end. In fact, the two allies likely each have a distinct impetus that has motivated such close cooperation. 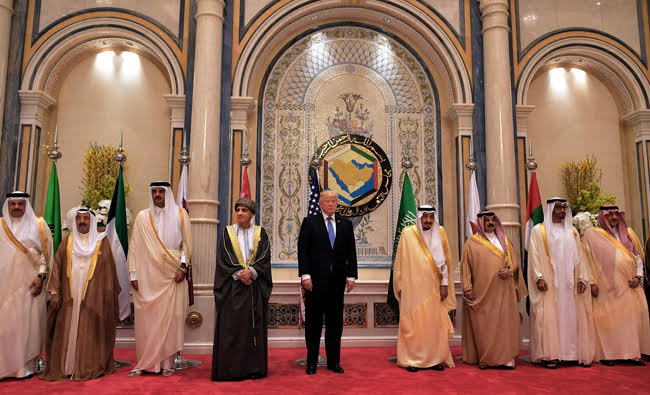 US interests in reconciling the Arab Gulf states remains a priority for the current administration in order to ensure that the nation’s Arab allies are united against Iran. Tellingly, in nearly every statement the administration has released about the need to resolve the crisis, American officials linked their quest for inter-GCC détente with the need to counter Iran’s increased power. In fact, the United States used such a rhetoric to pressure Riyadh and Abu Dhabi to ease the zero-sum nature of their demands against Doha. Such a motivation was later confirmed when whispers of the revival of an “Arab NATO” tentatively titled the “Middle East Strategic Alliance (MESA)” began to resurface. This hypothetical alliance would likely include the six GCC states, plus Egypt and Jordan, with possible contribution from Israel. Yet, although Kuwait experienced the effects of the Iranian revolutionary agenda when in the 1980s and 2000s Tehran funded terrorist attacks in Kuwait, the nation does not necessarily agree with the current US administration’s agenda of increasing antagonism toward Iran. Kuwait understands the harsh economic and security ramifications for the Gulf region posed by any military confrontation with Iran. The Kuwaiti economy (similar to most Gulf states’ economies) is heavily reliant on oil revenues. However, Kuwait’s oil exports have only one waterway to the rest of the world, the Iranian-controlled strait of Hormuz, which probably will be blocked in the case of military confrontation with Iran. Unlike UAE and KSA which can fall back on ports operating from the Gulf of Oman and Red Sea in the event of a conflict with Iran, Kuwait does not have such a backup. Therefore, Kuwait likely differs with Washington on the motives to resolve the Gulf crisis. Additionally, Kuwait, (second to Doha), may have the most at stake amidst the Gulf crisis for two reasons. First, Kuwaiti diplomacy (long known for harmony with the Saudi foreign policy) has lately shown independence from Saudi stances on regional issues. Consequently, Kuwait may feel a concern that Riyadh could give them the “Qatar treatment,” in order to reign in the nation’s sovereign foreign policy. 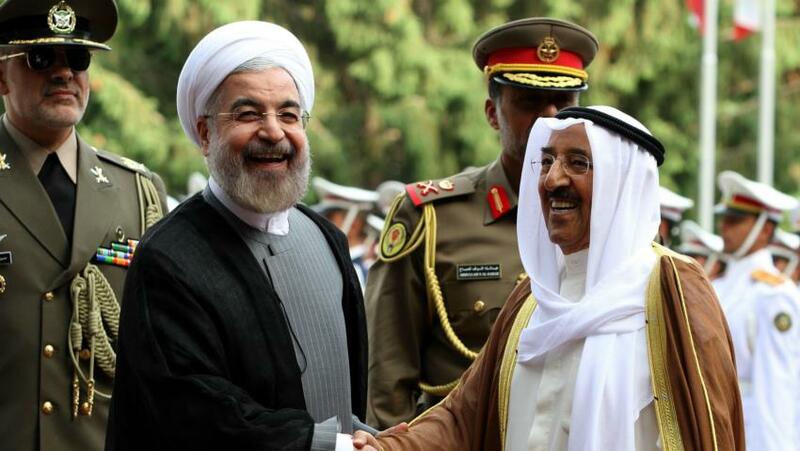 Second, Kuwait sees the GCC as the lone body that could unite the Arab Gulf states in the face of regional threats. Therefore, the survival of this body is crucial in ensuring the security and sovereignty of the small rich state. Over the last three decades, Kuwait found the unity of the GCC member-states as the only deterrence that protected it from Iraq’s invasion in the 1990s and Iranian funded terrorist groups inside Kuwait in the 2000s. Thus, restoring the GCC and its role as a regional bulwark remains a vital interest for Kuwait. Despite the harm that has resulted from the fragmenting of the Arab Gulf states, the Gulf Crisis represents a challenge the GCC faces as a collective. The new generation of rulers has exposed the Gulf region to unprecedented internal threats, opening the door for regional and international powers to penetrate the Gulf region and influence the bloc’s domestic policies and bilateral relations. The crisis is a projection of the deepest insecurities of Arab Gulf state governments and the failure of political apparatuses to protect the bloc from regional and international threats. Once known for being reluctant to domestic reforms and changes in foreign policy, GCC states have apparently begun to operate independently (oft at the expense of the others), willing to make foreign policy decisions independent of the region’s once conciliatory patrimonial decision-making process.